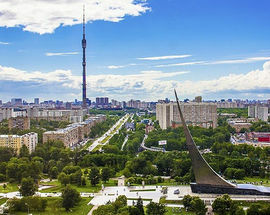 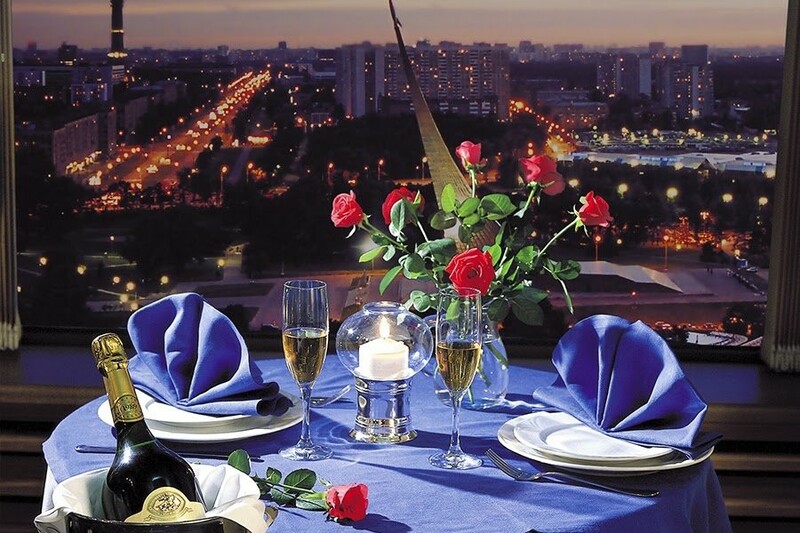 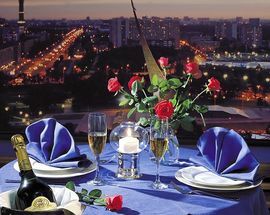 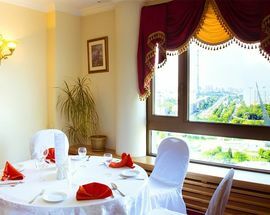 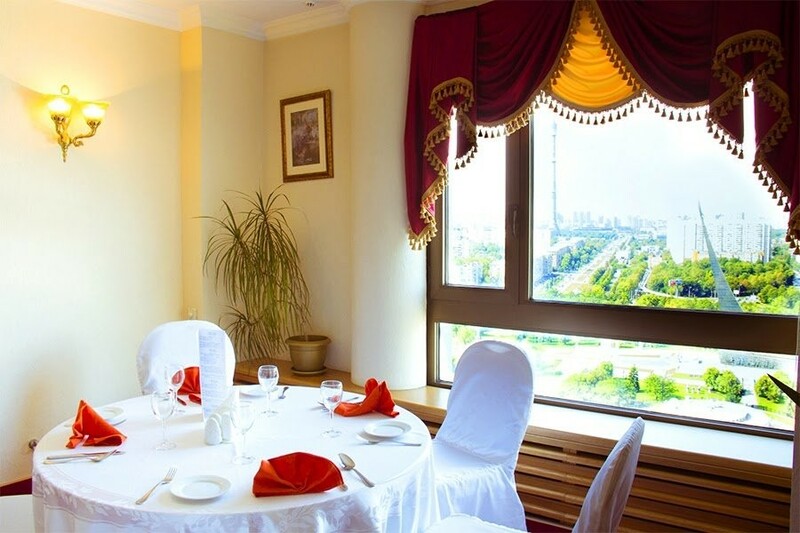 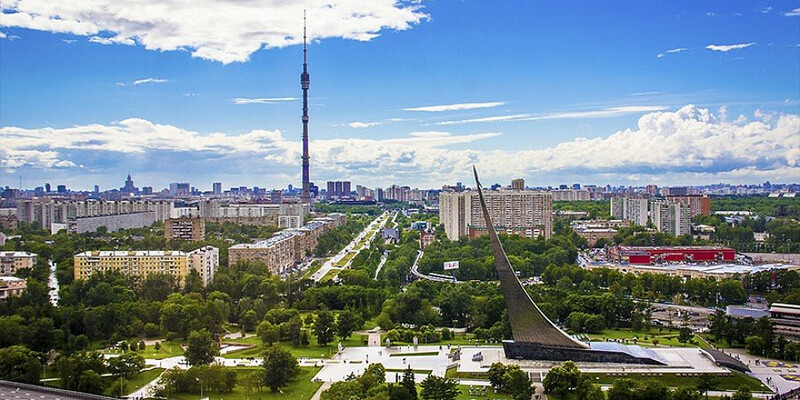 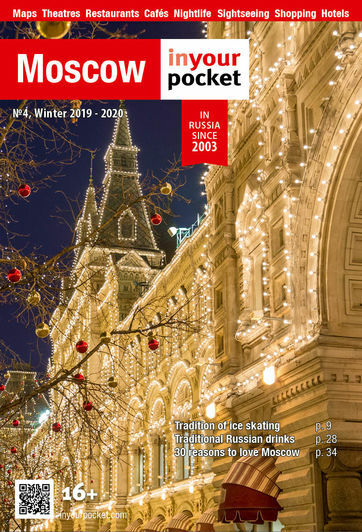 Thanks to its location on the 25th floor, Planet Cosmos Restaurant in hotel Cosmos offers spectacular views of the magnificent city of Moscow! 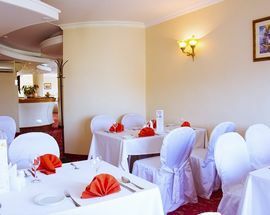 Guests staying in junior suites, suites, grand suites and apartments enjoy all the exclusive privileges of the Executive Lounge such as breakfast and dinner buffets, soft and light alcoholic drinks, snacks, desserts, fruit and hot drinks all around the clock - and all in the highest possible comfort. 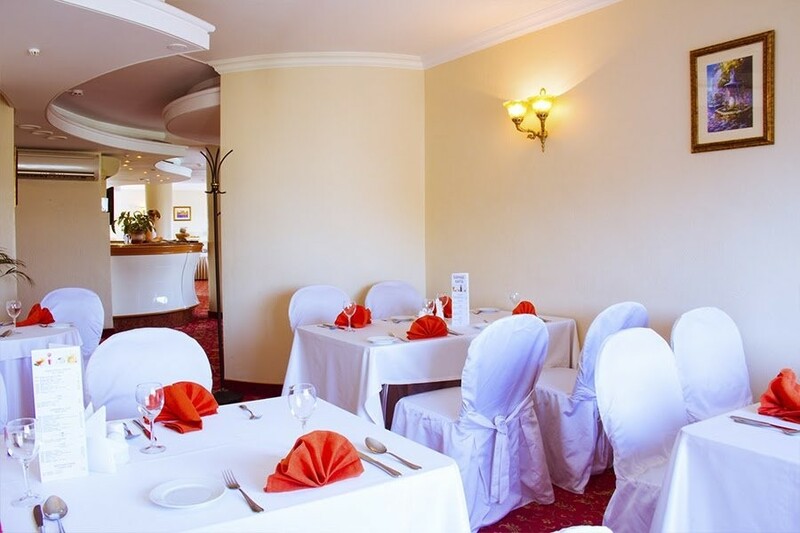 The executive lounge is the perfect place both for leisure and business negotiations in a private atmosphere, any time of day. 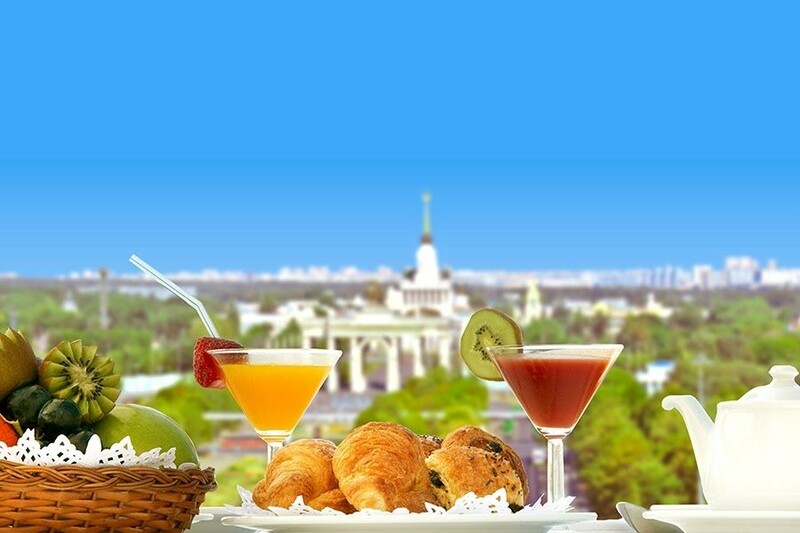 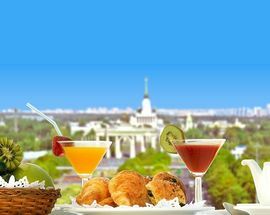 Savor Russian and European cuisines, as well as a buffet table with snacks, gourmet sweets and hot drinks all around the clock.